Each year brings new camera gear trends like the action camera or the drone, but 2018 is the year of the 360 camera. 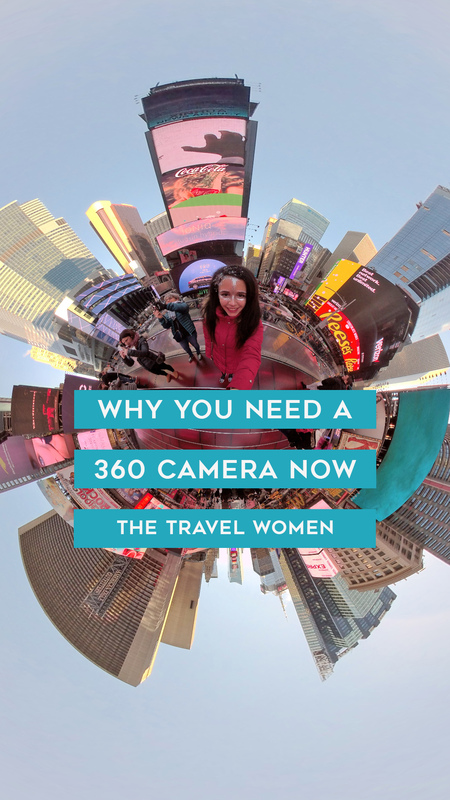 Capturing 360 content has never been easier with small and affordable 360 cameras, which are changing the travel industry by creating immersive travel experiences before leaving home and after a trip with full-circle memories! Imagine misleading or over edited travel photos replaced with 360 content that shows off the full picture, the honest view of a hotel, an attraction swarmed with tourists or every building of a city skyline. Photographers looking for new angles will love 360 cameras, which are the best way to get “the shot” that not many others will have! So which cameras should you take for a spin and why are 360 cameras the best investment in 2018? 1. It is easy! The barrier for many travelers trying new technology like a 360 camera is often the misconception that it will be difficult to learn or edit. 360 is super easy to use! Videos don’t require quick elaborate edits, but rather benefit from minimal editing to show off long immersive tours or walks through a destination. Some 360 cameras, like RYLO, even come with a mobile app that makes editing and sharing much easier! 2. It is fun! I first got interested in 360 after seeing the cool angles and tiny planets one could capture and how you can really have fun with it! For example, why not capture unique angles of Times Square with glitter on your face as I did in this video above or the full view of a jungle balcony sunset like I did below! 3. You get the full picture, all 360 degrees around. Many photographers shell out extra dollars for wider lenses and full frame cameras to fit tall buildings and epic panoramas within the frame of their photos, but an easier and cheaper option is to get a 360 camera! 360 cameras usually consist of two wide fisheye lenses that produce two circular videos that are stitched together in editing to make a scrollable panoramic or tiny planet view of the world that conveniently fits your view into one frame! 4. Group shots have never been easier! If you like taking selfies of your family or friends’ group (see below) while traveling you don’t need a selfie stick to capture an epic group shot with everyone, you just need a 360 camera! 5. Stand out! As a photographer or blogger, it can be very difficult to stand out as everyone seems to have a smartphone these days but not everyone has a 360 camera. So why not stand out with this unique 360 content now before it becomes too common. 6. It’s also easier than ever to share! Only a few years ago to share a full 360 photo or video required fancy and expensive self-hosting. Now you can share 360 photos and videos on Facebook and 360 videos on YouTube. You can even easily embed it on your own site like I did above! Which 360 camera should you buy? I have direct experience with the following two cameras, where deciding between the two comes down to two factors: cost and quality. 1. Samsung 360 2017: This camera is perfect for beginners who are not sure if they will enjoy capturing moments in 360. The biggest drawback is the quality, which is not as noticeable on photos but can easily make 360 videos look very pixelated. 360 videos on this camera perform best on a tripod or handheld with little movement to reduce pixilation. 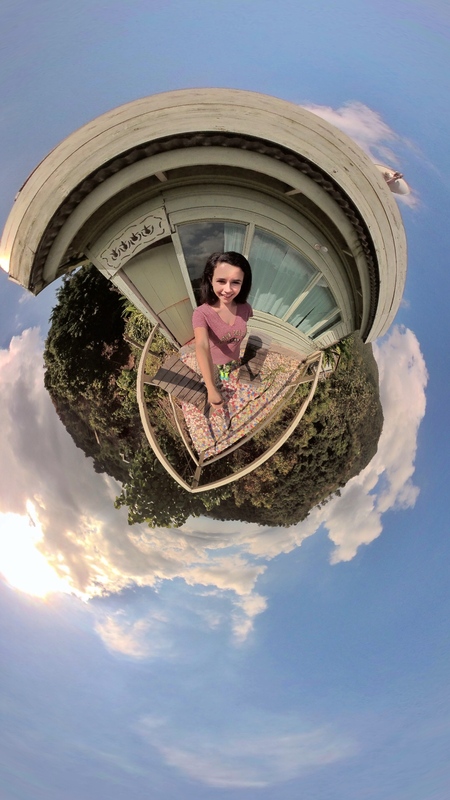 It is great though if you are just looking for a small and quick way to capture tiny planet photos like these on the go. One unique feature though is that this camera does include slow motion. Check out the Samsung 360 2017 here. 2. RYLO 360: This camera is worth the quality and cost upgrade from the Samsung 360 camera! If you are looking to create beautiful and STABILIZED videos in 360 or even HD videos with edits from multiple angles and even a fun follow me mode, this camera is amazing! The stabilization and video quality set this camera apart and the GoPro attachment handle allows you to easily attach it to any GoPro accessories to make the most epic adventure videos ever! The mobile app allows you to create video clip edits by trimming, speeding up and changing the views of the video easily. Check out the RYLO here. If you are looking for a unique angle to set your travel photos and videos apart from the crowd, definitely check out these 360 cameras, our top gear recommendations for 2018! Want to learn more about 360? We want to share more content on gear like this including more in depth camera reviews, comment below your questions and what you want to learn more about! Finally, someone has tapped into the full potential of GoPro technology. What a great idea, and fun to see, too. Just realizing that the GoPro could also answer the question haunting mankind since the dawn of the electric refrigerator, does the light REALLY go out when we close the door? Its amazing to take photos in 360 degree. I have book Samsung 360 2017 from your website. I will travel Canada in this summer vacations. I will take brilliant views using my new 360 camera. Thanks for sharing and letting me know about this fantastic camera. 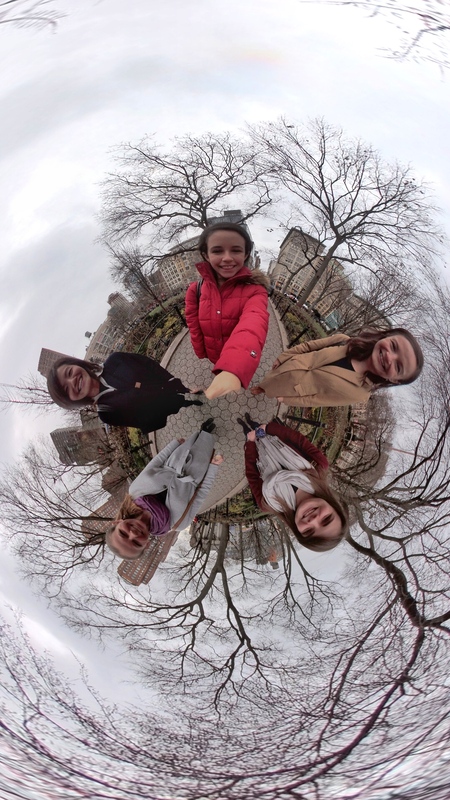 Agreed, love 360 degree photos! So glad you got the 360 2017 camera and cannot wait to see your photos! 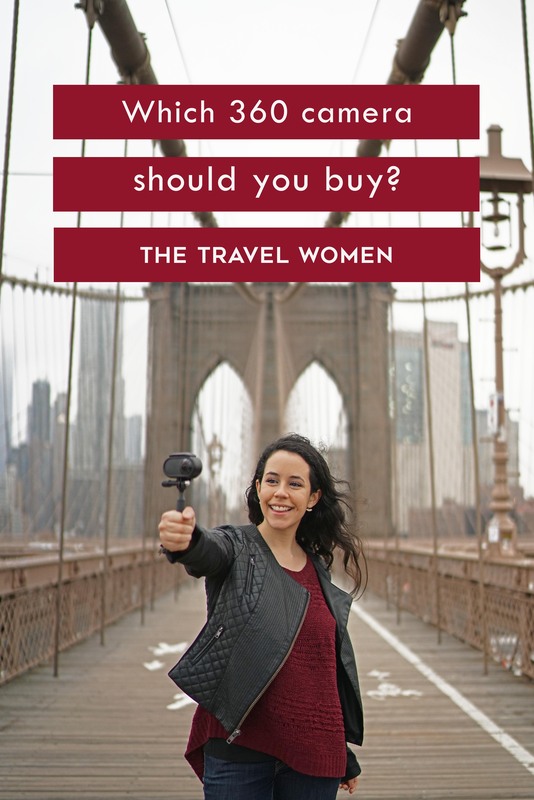 Tag #TheTravelWomen on Instagram and DM me @TheTravelWomen! Thank you! For last 6 months I am reading a lot about 360 Cameras and checking amazing pictures on Instagram, and I guess I am ready to buy one. I am not sure, how I am gonna use it during my trips and is it a wise decision to buy one or not but Yes, I am getting one Now!